Maximum 20 year for UG courses and maximum 30 year for PG courses. Completed or pursuing 10+2 board for UG courses and completed or pursuing bachelor's degree in any discipline. NID 2019 Eligibility: Before applying to NID, candidates should carefully check the NID 2019 eligibility criteria. NID 2019 Requirement: The NID 2019 eligibility criteria is a set of requirements that all candidates need to fulfil in order to be eligible for writing NID 2019. Separate Eligibility: The NID 2019 eligibility criteria vary for undergraduate and postgraduate courses in NID campus. NID 2019 Age limit: The maximum age limit for the candidates to appear for the NID 2019 exam is 20 years as on 30 June 2018 to satisfy the eligibility criteria for NID. NID 2019 Reserved Category: However for reserved category candidates, the age limit is different. There will be a relaxation of three years for OBC, SC and ST candidates.Physically Handicapped(PwD)can appear for NID 2019 until the age of 25. Education Qualification: Candidates must have passed the 12th examination or those appearing in 12th or equivalent examination from a recognized board to satisfy the eligibility criteria for NID 2019. 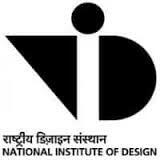 Graduating Candidates: Candidates who are graduating(10+2) are also eligible to appear for NID 2019. However, candidates need to submit the relevant documents during the time of admission. Reservation Candidate: The age limit for the reservation candidates (OBC-NCL, SC, ST) is 23 years as on 30 June 2018. The candidates who are satisfying the eligibility criteria can can apply for NID 2019 Application From. NID 2019 Age limit: The maximum age limit is 30 years of age for candidates to satisfy the eligibility criteria for NID. However, the reserved category has a different age limit. Three years relaxation is allowed for OBC, SC and ST, whereas, PwD candidates can attempt until the age of 35. NID 2019 Education Qualification: Candidates should have cleared the bachelor's degree(10+2+3 years or 10+2+4 years) to satisfy the eligibility criteria for NID. Those appearing in bachelor's degree in any discipline from any institution or university recognized by law in India are also eligible to apply for NID 2019. Overseas Candidates: Foreign students who are holding citizenship from other countries are eligible to apply under the Overseas category. Total no of seats: Out of the total 100 seats in Undergraduate B.Des programme, 15 seats are reserved for Overseas category students. The candidate needs to fulfil all the eligibility criteria to get the NID 2019 admission. I Passed 12th but with grace marks, can I apply? Yes, u can apply for the NID 2018. To know more about the eligibility criteria, click here. I am 20 years old, Can I apply? Hi, I am Sandhya. I got 130 rank in NID exam. Will I be able to take admission? You can take admission in the college. It depends upon the waiting list of the candidates. For more information, click here. Hi, I am Soumya. can you let me know about the age limit of OBC candidate for NID exam? The age limit for an OBC candidate for NID Exam is 35 years. For more information, Click here. Will an Indian citizen who studied in Riyadh from class 9 to 12, be considered an overseas/foreign student? Foreign nationals (applicants holding citizenship of any country other than the Republic of India) only are eligible to apply under the Overseas category. I am 22 years old. Am I eligible to apply for the NID undergraduate course? No, you cannot attempt the exam as the maximium age limit for the NID candidates to appear for the exam is 20 years. What is the eligibility criteria for the undergraduate course? The maximum age limit for the NID candidates to appear for the exam is 20 years. For reserved category candidates, the age limit is different, there is a relaxation of three years. Candidates must have passed their 12th standard examination. Those appearing for their 12th standard examination or equivalent examination from a recognized board are eligible.